Alastair T. Ferrie - Alastair holds a B Sc (hons) in Physics from Paisley College of Technology, and a Masters and Doctoral degree from the University of Stirling, Scotland.After 30+ years in full time ministry in 3 of the four largest cities in Scotland, he writes out of a lifetime of experience of sharing the gospel and building up local churches. 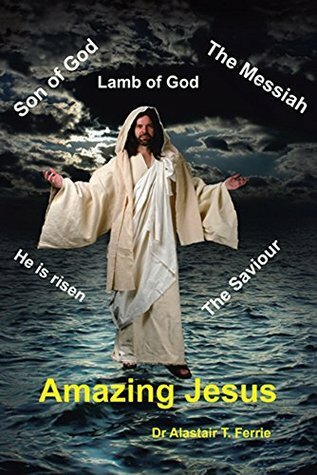 As I write now on 6 January 2015, I have just completed the writing of my latest work called Amazing Jesus. This short book is written for those on the periphery of the church, taking those first faltering steps, exploring Christianity.